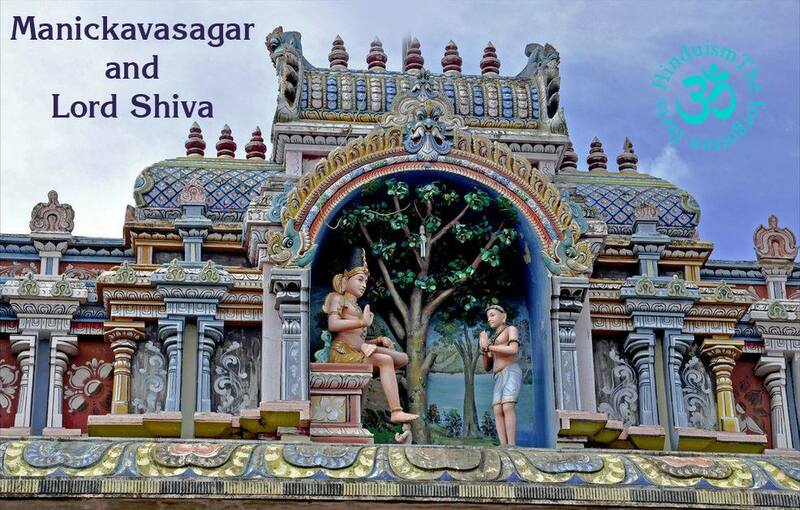 Saint Manickavasagar, then heading the cabinet of Pandya king, came to this place Tiruperundurai, now Avudayarkoil to buy horses. He heard sounds of Shivagama Mantras there and saw a Guru sitting there. The prime minister fell at the feet of the Lord and begged Him to teach him wisdom. While learning, Manickavasagar plunged into deep meditation. When he opened his eyes, he found his teacher absent in the place and understood that his Guru was none other than Lord Shiva Himself. He spent all the money he carried for buying horses in building a temple for his Guru-Shiva and dedicated himself in the service of Lord. As the saint failed to carry out the order of the king, he ordered the saint to be arrested and jailed. Lord Shiva converted the foxes in the forests into horses, brought them to the king as instructed by Manickavasagar. After delivering the horses, Lord went away. However, at midnight, the horses became foxes and started howling. Angry king, made Manickavasagar stand on the sands of Vaigai river in Madurai under scorching Sun. To teach a lesson to the Pandya who acted against His devotee, Lord made Vaigai flow in spate. King ordered to strengthen the banks to avoid a breach. Lord also came to Madurai as a coolie for the repair work. The king struck him with a cane for not doing the work properly. The blow only fell on the king and every one in Madurai leaving its scar on them. The King came to know that all that happened was Lord Shiva’s design, fell at the feet of Manickavasagar and begged his pardon. 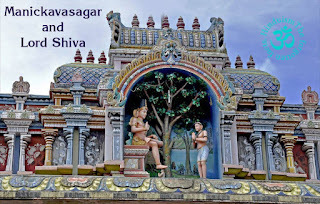 Avudayarkoil was the ground for this Tiruvilayadal Purana story (an epic by Paranjothi Munivar speaking of the great plays enacted by Lord Shiva for His devotees).